Our Community Advisory Council, established in 2006, serves as a sounding board and network of support for Encore Learning’s Board of Directors. The Council, comprised of community leaders and representatives from our affiliates, advises the organization on topics which range from acquisition of classroom and office space, to membership levels and diversity, to recruitment of instructors and additional affiliations. The broad, deep and diverse experience they bring to the discussion is invaluable. 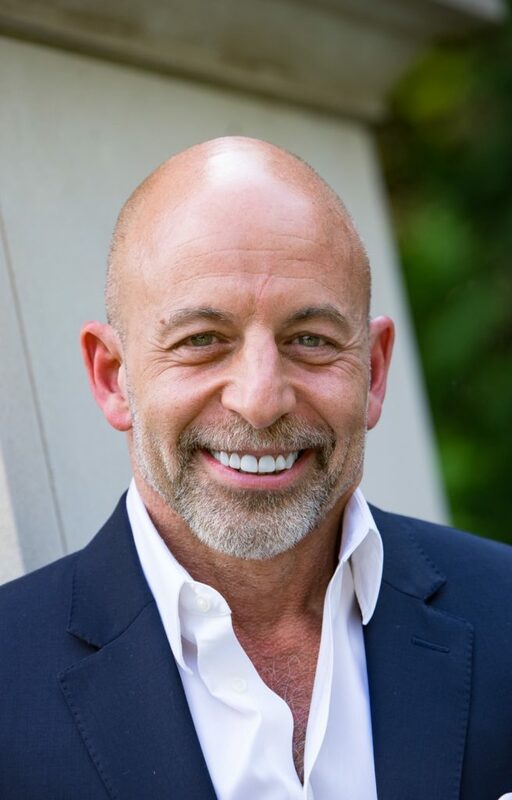 We continue our series on current Council members with this interview of Jay Fisette, Managing Partner, DMV Strategic Partners, LLC. Jay has served on Encore Learning’s Community Advisory Council since 2013 and has been frequently in the public eye since the early 90’s. Jay, I love hearing arrival stories. Tell me yours. Between college at Bucknell University and grad school at University of Pittsburgh, I spent a year in California and a year in Europe. Lots of self-discovery, exploring different cultures, and writing journals. I arrived in Arlington immediately after finishing my graduate degree in public and international affairs in 1983. 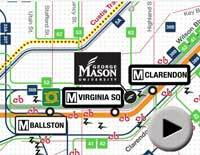 I was aiming for Washington, DC (Adams Morgan to be specific), yet landed in Arlington. Lucky us! We are glad for that little mishap. A quick review of your official resume includes many honors gathered along the way. Tell me about your career. I have had three significant “careers” prior to starting DMV Strategic Advisors. First, I worked in the federal government as an investigator/auditor with the Government Accountability Office and as a consultant on Sen. Kennedy’s Committee on Labor and Human Resources. Second, I worked in the non-profit sector as the Director of the Whitman-Walker Clinic of Northern Virginia. And the third and longest tenure was as an elected member of the Arlington County Board, where I served as Chair or Vice-Chair for 10 of my 20 years and was very active in regional and statewide work as well. That is how you ended up splashed across the regional newspapers. You were very active on state and regional boards and commissions as well. How does your present position follow from this? My new firm is an effort to help businesses, non-profits and governments to connect across borders and sectors to further their goals as long as they are aligned with the regional plans and goals. I am especially interested in advancing the region’s efforts to address climate change and protect the environment. Sounds familiar and very timely. Speaking of timely, haven’t you been busy with Encore Learning on this front? After graduating from Al Gore’s Climate Reality training, I did a presentation on Climate Change for Encore Learning last fall. 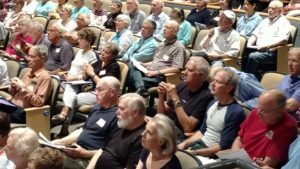 And on April 9, I will be doing a presentation of the latest Gore slides as well as an update of Arlington’s energy plans at the GMU/Arlington Campus auditorium. We love it when people share their knowledge with the community. When did you first hear about Encore Learning? 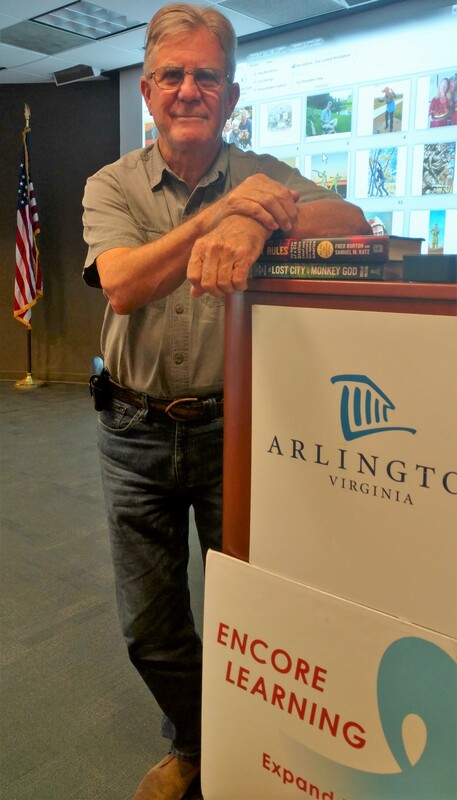 I think it was John McCracken – one of Arlington’s finest – who first introduced me to his newest passion at that time, the Arlington Learning in Retirement Institute (rebranded as Encore Learning in 2013). I happily agreed to serve on the Community Advisory Council and have never left. Lifelong learning is healthy for an individual and for a community. Encore Learning seems to be a vintage Arlington creation. It has been created by engaged citizens, it is funded and run by engaged citizens, and our smart, talented and engaged citizens share their skills and knowledge by serving as instructors. I admire the organizational efficiency coupled with programming quality. And we admire you in return for lending us your expertise in the conference room and lecture hall. 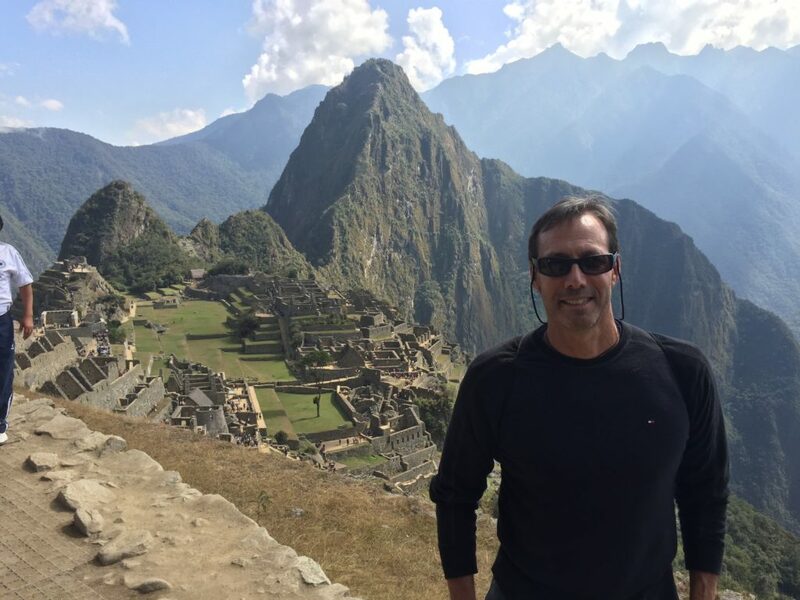 I have attempted to provide some strategic advice to Encore Learning leaders over the years – and can continue to do that. I have also been tapped to facilitate programs and give guest lectures. Yes! You served as moderator last May for our panel discussing “The Changing Face of Arlington” with Katie Cristol, County Board Chair; Adrian Stanton, Vice President for marketing, VA Hospital center; and Kate Bates, President and CEO of the Arlington Chamber. Let’s change gears: what do you enjoy doing when you aren’t working hard at your job? Where would we find you on the weekend or on vacation? My husband Bob and I have been together for 36 years (though only legally married for 6!). We have always loved to travel and continue to find new places in the world to explore. Having lived in Paris in the early 1980’s, it remains my favorite city. I am also a health nut, so you’ll find me at the gym or in the pool, and often bicycling to get around town. We love spending time with our friends and family, and I am especially invested in yard and garden work. As with my dad, I like having some dirt under my fingernails! At night, we often watch Netflix or a favorite TV show like Blue Bloods or Law and Order. And we do go to quite a few shows – catching almost everything at Signature Theatre. And then there’s $64,000 question as we wrap up: which of our course categories will you choose when you start taking courses at Encore Learning? There are interesting topics in ALL of these areas! As I get older, my interest in history, culture and the arts seems to grow. Though I admit that I still devour the Washington Post, so add in public policy and politics. The same dilemma all our members face. My solution? Take them all. All photos courtesy Jay Fisette. A former Fulbright Professor of Neuroscience and Neuroethics at the Ludwig-Maximilians University of Munich, Jim currently is Distinguished Visiting Professor of Brain Science, Health Promotions, and Ethics at the Coburg University of Applied Sciences in Germany, and was awarded the University Gold Medal for Distinguished Achievement and Service in December 2018. The author of seven books in print (with two more forthcoming), fifteen governmental whitepapers, and more than 290 published articles, much of his work has focused upon the use and misuse of brain science in warfare, intelligence and global security operations. He is now Senior Fellow for Biowarfare and Biosecurity of the Donovan Group of US Special Operations Command (USSOCOM), and through 2016 was Senior Science Advisory Fellow to the Joint Staff of the Pentagon. 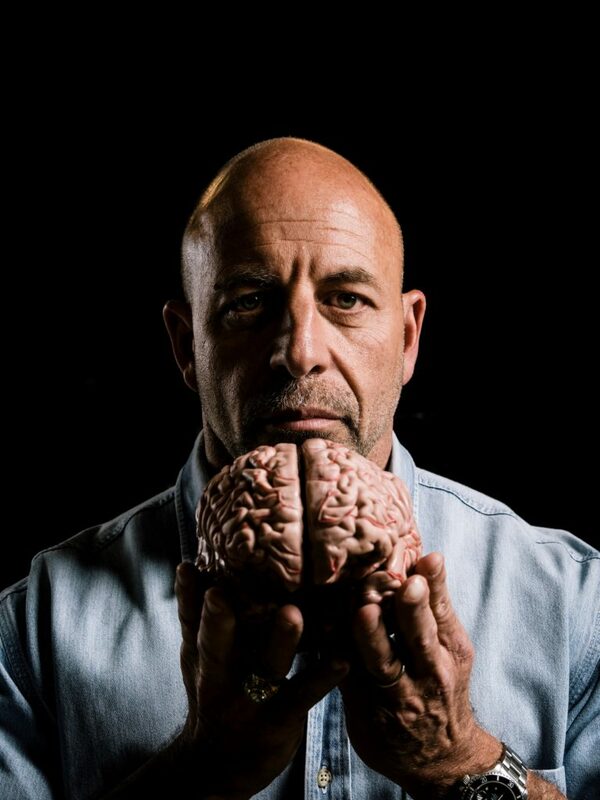 Jim has served as an appointed member of the Neuroethics, Legal and Social Issues Advisory Panel of the Defense Advanced Research Project Agency (DARPA) and was Senior Research Fellow and Task Leader of the EU-Human Brain Project’s Sub-Project on Dual-Use Brain Science. Photo courtesy Dr. James Giordano. Jim believes that “in many ways, Encore Learning is like music for the mind: it lets you learn new verses to melodies that are familiar, and provides opportunities for acquiring new tunes at whatever rhythm one desires.” And speaking of music, you might be surprised to learn that this instructor is also a blues and jazz pianist who “…used to earn a quick buck or two playing piano in jazz bars.” When asked about that experience, he simply smiled and said: “Same tune, different beat: whether it’s playing with some great musicians, training on the judo mat, or being in the lecture hall, it’s all about what you learn and what you teach, and how you give back what you’ve been lucky enough to get.” Encore Learning members are lucky indeed. Arlington Public Schools are closed so our office is closed today. 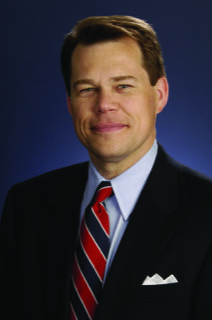 Law school had been a possibility when David went to St. John’s University in Minnesota in 1977. His mother worked for an attorney who had graduated from the university in the 1930s. David earned a B.S. in Business Administration in 1981, but his volunteer work with Vin Weber’s successful congressional campaign sent him to Washington. There David worked with the House Small Business Committee where he was introduced to lobbying. His next job took him from being lobbied in the House to lobbying the House and the dismay of his mother. This semester, David is teaching a class on lobbying for Encore Learning. He prefers the term “advocacy,” knowing that the word “lobbying” sometimes prompts a negative reaction. 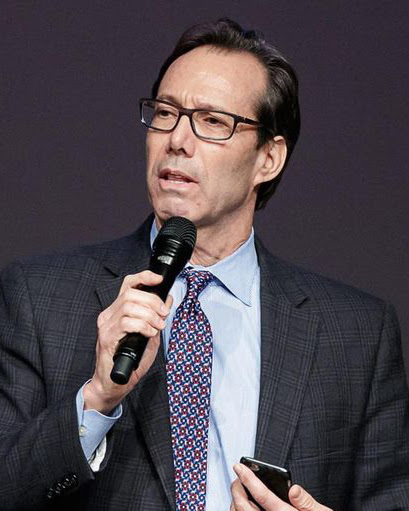 In 2005, he became President and CEO of the National Association of Broadcasters, the same year Congress declared that analog television would be replaced by digital television in 2009. David wrote a book, From Analog to Digital Television about the experience. That campaign had many parts. For example, two TV-shaped “DTV Trekker” vehicles travelled across the country visiting fairs, parades, museums and malls. A speaker’s bureau of local broadcasters took the digital message to organizations, schools and worship houses. David’s wife, Ashley, emailed parents of children attending local public schools about the transition. This inspired a “DTV email chain” starting with an email to the association’s 270,000 email addresses asking recipients to forward that email to five to ten of their friends. When David received an email from a friend not in the broadcast business, he knew the chain was working. That campaign worked and they did marry, but lobbying almost got David in trouble with Ashley. David was at a photo shoot with Fortune magazine. Ashley was going to a doctor’s appointment before the birth of their first child. The photo shoot ran three hours and when it ended, David realized he had 19 missed calls. He rushed to the hospital only to find that Ashley was waiting for him at home. Everything went well and they went on to have four children. Meanwhile, David’s career took another turn – this time to teaching. He had stayed in school during his career, earning a Master’s and a Ph.D. in Economics from George Mason University. In 2010, he became an Adjunct Professor in George Washington University’s Graduate School of Political Management teaching advocacy, leadership and enterprise management. In 2014, he became Program Director of their new Master’s program, Advocacy in the Global Environment. In 2016, he moved to George Mason University where he was the Senior Associate Dean and Professor at the Antonin Scalia Law School. 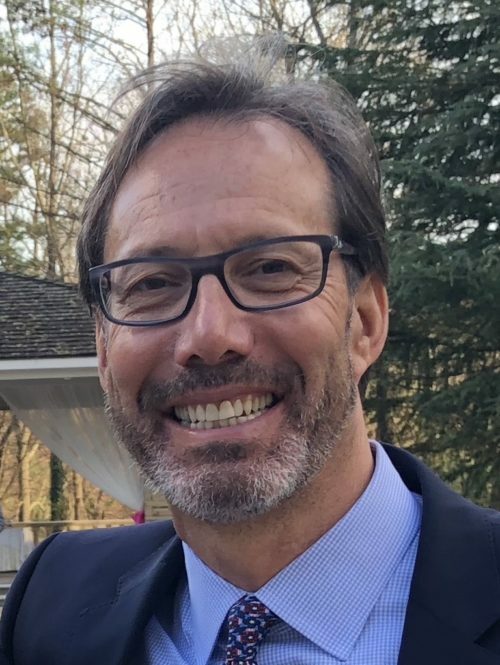 In the fall of 2018, he became a Professor of Public Policy at GMU’s Schar School where he teaches advocacy and lobbying. 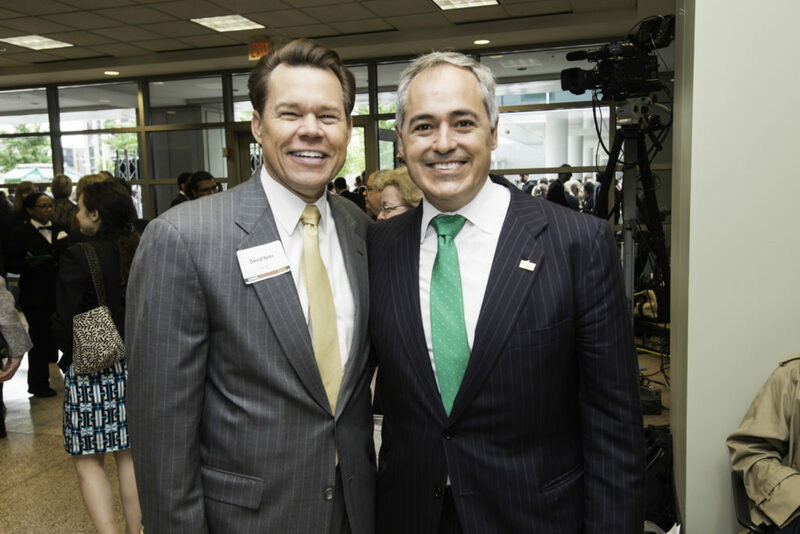 In January of this year, David launched the Center for Business Civic Engagement (cbce.gmu.edu) to foster transparency, accountability, stewardship, and civility. David believes performance metrics used in business should help drive government performance at all level of government. at the Antonin Scalia Law School Dedication. At GMU, he was introduced to Encore Learning when he met Marjorie Varner, Encore Learning’s Executive Director, at a GMU Arlington Campus meeting. She encouraged him to teach an Encore Learning class. This semester David is teaching both his youngest and oldest students: Mason undergraduates and Encore Learning members. His course “Lobbying Congress: Drain or Expand “The Swamp”? sold out quickly on the first day of our course registration. Who does he anticipate will take his class? “I expect people who want to know how to make themselves heard as one person or as part of a coalition,” he said. “Also, someone might want to ask, ‘How can you defend what you do?’ We could have a dialog.” And he can thank his mother for preparing him for that. All Arlington Public Schools and offices are closed, so our office will be closed. Arlington County Government offices, courts, libraries & facilities are also closed, so the Mindfulness Club and Current Issues Discussion Group will not meet. Breakfast Club members should look for an email from Club Coordinator Ron Wise. Open to current and prospective members. Bring friends, relatives and neighbors! presentations about their academic courses. Course Preview influence their registrations. possibilities along with a quick bite and hot drink. Call the Encore Learning office at 703-228-2144 for specific directions or any questions. To become a member or to renew membership, we recommend our website, where you can pay securely with your credit card. If you wish to purchase or renew your membership at the course preview, only personal checks can be accepted. 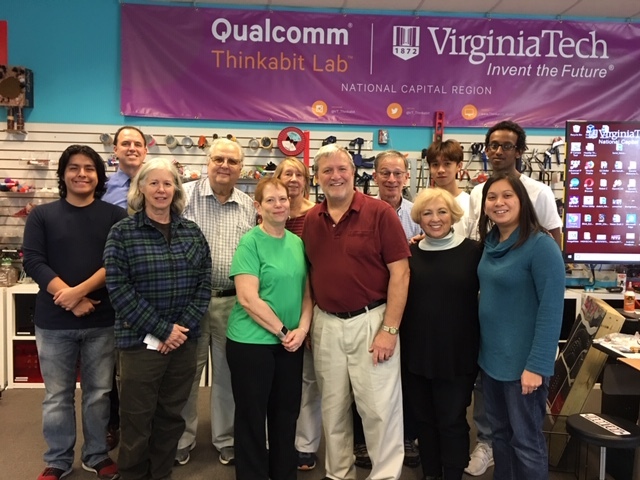 Our newest club, Tech Hobbyist, is now meeting weekly on Mondays from 2-4 P.M. at the Qualcomm Thinkabit Lab at Virginia Tech’s Northern Virginia Center. The Tech Hobbyist Club and friends in the lab on December 3, 2018. 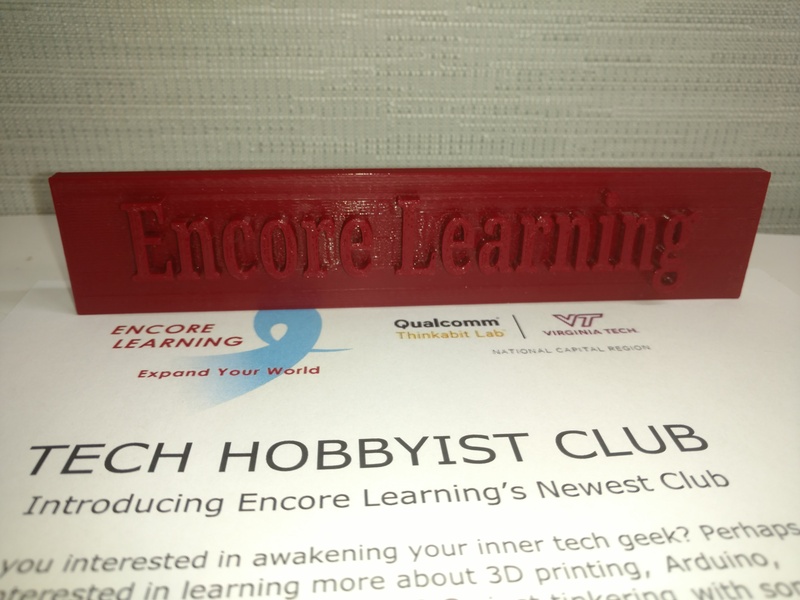 Encore Learning Name Plate made by Tech Hobbyist Club using 3D printer. Newcomers are welcome. If you’d like to join, please send an email request to info@encorelearning.net with your name and contact information. Information about all of our clubs can be found on the Clubs page of this site.